By J.R Gaunt & Sons Ltd. of London. 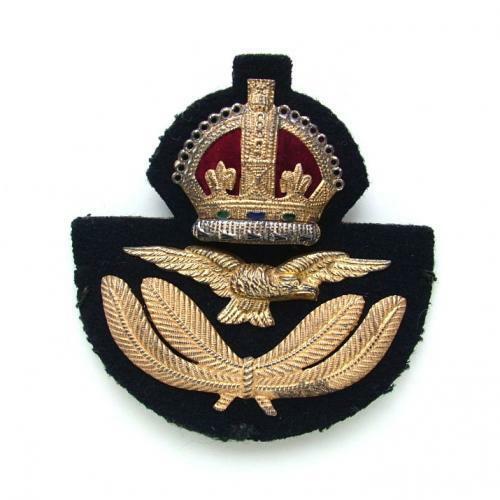 High quality 'economy' version of the standard cap badge with gilt laurel wreath and crown in place of the usual bullion wire. Marked with manufacturer's details to rear. Very good to excellent used condition. Stock code U20322.